Just picture yourself at a picnic table drenched in sunshine, gnawing on a pile of rib bones. 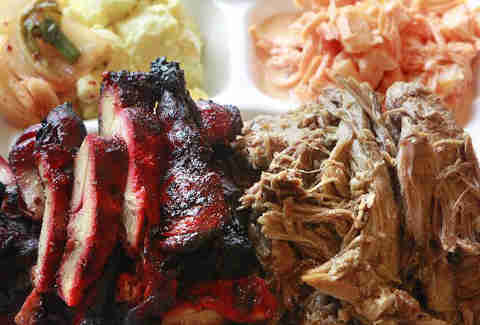 If that sounds pretty much like heaven, then look alive: you can slice yourself off a piece of that bliss here in Milwaukee, where we boast some seriously legit barbecue joints. These spots serve up everything from beef brisket to pig snout (just try it), not to mention Southern-style sides. 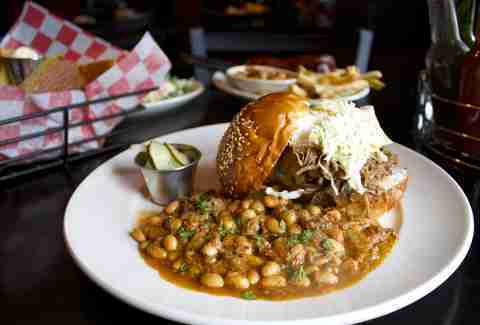 Here are the top spots in MKE to give you the meat sweats. Speed Queen is BBQ royalty (having reigned since 1956), and probably the most well-known smoked meat around. 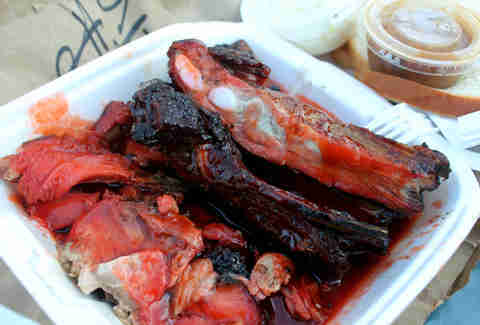 Its specialty is "outside," the deepest part of the bark that forms on the outside of the pork shoulder while smoking. 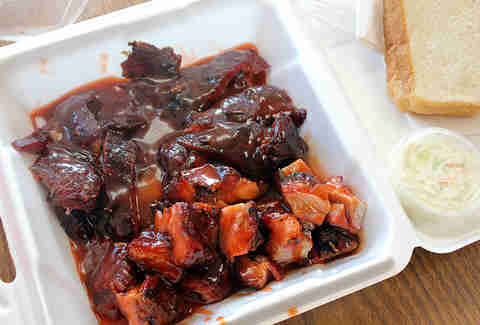 Its sticky, tangy sauce is a little ketchupy by itself, but it forms BBQ nirvana when paired with the charred outside or rib tips. If anyone else has a claim to the BBQ throne, it’s Ashley’s. Only about a mile from Speed Queen, it serves very similar ‘cue, but you can get more unusual things here like snout and goat. 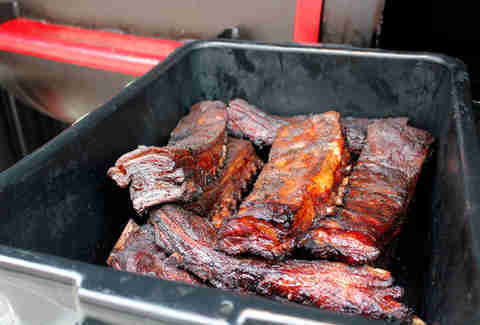 Ribs reign supreme though, and are tender, but don’t fall off the bone (a sign of overcooking). Baked beans here have bits of smoked meat floating around in them, just to remind you that vegetarians are not going to like this place. This old-school, supper club-like restaurant serves up slabs of BBQ baby back ribs on white tablecloths and paper placemats. Brush aside the little parsley sprigs that adorn everything and dig in; everyone around you has caramelized BBQ sauce all over their face too. The hash browns that come on the side are almost like a potato pancake and are cooked in a cast-iron skillet. A relative newcomer, Smoke Shack is the BBQ joint that’s decorated to look like a chic version of 1870s Oklahoma. It’s not a gimmick though, as the meat is legit, even during brunch. 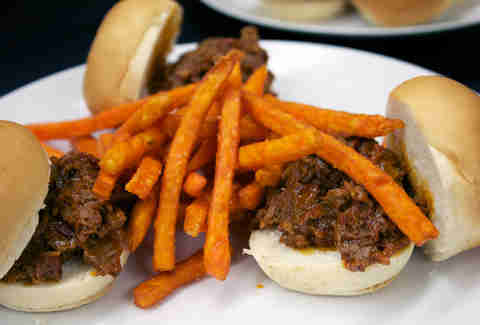 Brisket Sloppy Joe sliders mix peppers and onion into sauced chopped brisket, and plop it on little buns. Spice it up with some hot habanero sauce, one of five offered. What do the Blues Brothers, superheroes, open mic night, and meatloaf have in common? Conway’s has them all. 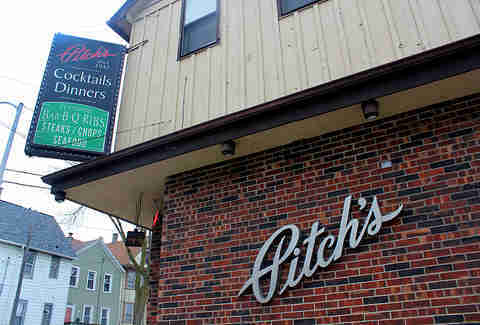 This eclectic bar serves ribs, sure, but it’s the smoked meatloaf and chicken wings that have people coming back. 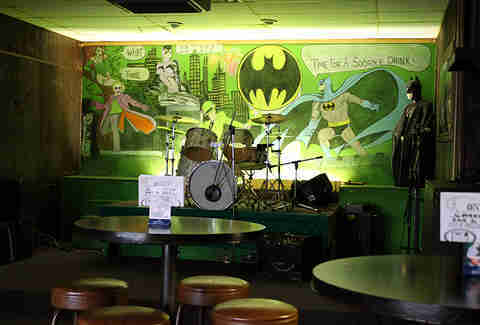 Plus there are amazing blues performers who play in front of a chalked mural of Batman every Wednesday for open mic night, and two life-size statues of the Blue Brothers just chill in another corner. This Southern restaurant has expanded its barbecue offerings since opening to include Memphis- and St. Louis-style ribs, and North Carolina pulled pork with a vinegar-based sauce. You can’t go wrong with any of them, but what really stands out here are the sides, including homemade mac and cheese, corn and arugula salad in buttermilk dressing, and sweet cornbread with whipped orange honey butter. Start with fried green tomatoes, tackle ribs and greens, and end with bread pudding. Congratulations, you’re now a true Southerner. Not what you normally think of when you think BBQ, this Hawaiian market and restaurant is much beloved for the kalua pork and char siu chicken. The pork is wrapped in banana leaves and smoked, while the deep-red chicken is cooked with Chinese spices. Both meats are served with beautiful purple sticky rice, macaroni salad, kimchi, and a crunchy, sweet carrot and pineapple slaw. It’s like a Hawaiian rainbow in a takeout box. A sister restaurant to the other Ashley’s, this one is only a few years old and offers things the other one doesn’t (namely tables, servers, and booze). 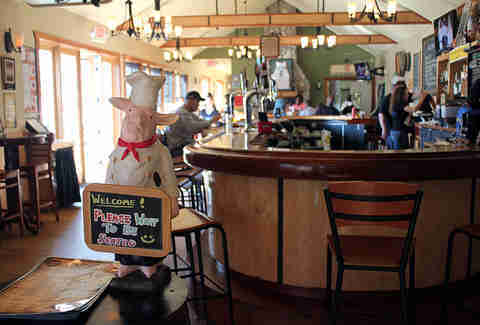 You won’t find things like snout here, but it does have some mean cheesy grits, fried okra, and unusual smoked beef short ribs to make up for it. You can also get Purple Drank made with grape Kool-Aid and local, high-end Rehorst vodka for one crazy dichotomy of a drink. Chef Aaron Patin has modeled his casual BBQ joint on the meat-and-threes that are so (understandably) popular in the South. 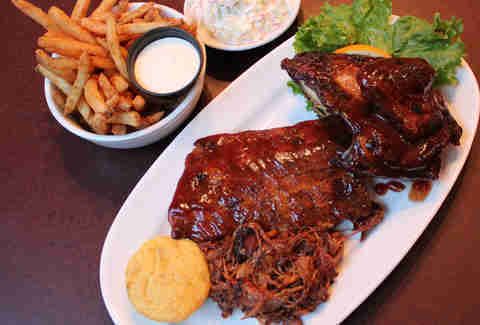 The specialty of the house, the Milwaukee rib, is meatier and more flavorful than traditional Southern-style ribs. Patin leaves the pork belly on this cut, which means the ribs come loaded with extra-juicy meat and melt-in-your-mouth pig fat. Pulled pork, brisket, and sausage links are also stars of the show, alongside classic sides like creamy grits, tangy braised greens, and smoky baked beans. It’s all topped with a sweet pickle garnish -- which is kind of a necessity to cut through all that richness. 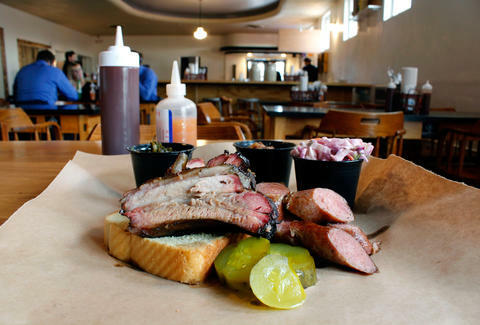 Sure, you can get the usual (and excellent) ribs, pork, and brisket at Double B's. 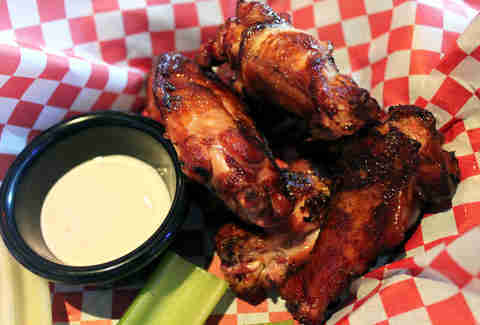 But why not go for something that isn't typically smoked, like chicken wings? The smoking process lends enough flavor to render sauce unnecessary, and leaves the meat sticky with rendered chicken fat (that's a great thing, promise). Wash these bad boys down with cocktails made from house-infused bourbon -- preferably on the large, hidden patio. Saz’s has built a BBQ empire in MKE, from its main location and bar, to its outposts at just about every festival in the city. You can get all kinds of meat at the restaurant, so you might as well order the Texas BBQ combo in order to try ribs, brisket, and smoked andouille sausage. Wash the meat down with the ubiquitous sour cream and chive fries or the wonton skin-wrapped mozzarella sticks. Lacey Muszynski is a Milwaukee food writer who thinks the shoulder from Ashley’s Bar-B-Que is the bee’s knees. Follow her on Twitter @worthhersalt.